Conveniently located on Sheikh Zayed Road, Gold & Diamond Park is a must-see to every discerning shopper and a must-go in every tourist’s list. This specialty mall has the unrivalled selection of 90 leading retailers and recently opened another expansion that now offers 118 manufacturing blocks and commercial space for over 350 offices. The Dubai Gold and Diamond Park is part modern mall, part office and part traditional gold souk, specializing in gold and diamonds. Although mostly jewellery, there are well priced bullion bars and coins available from some of the traders within the mall. All businesses are 100% foreign-owned. 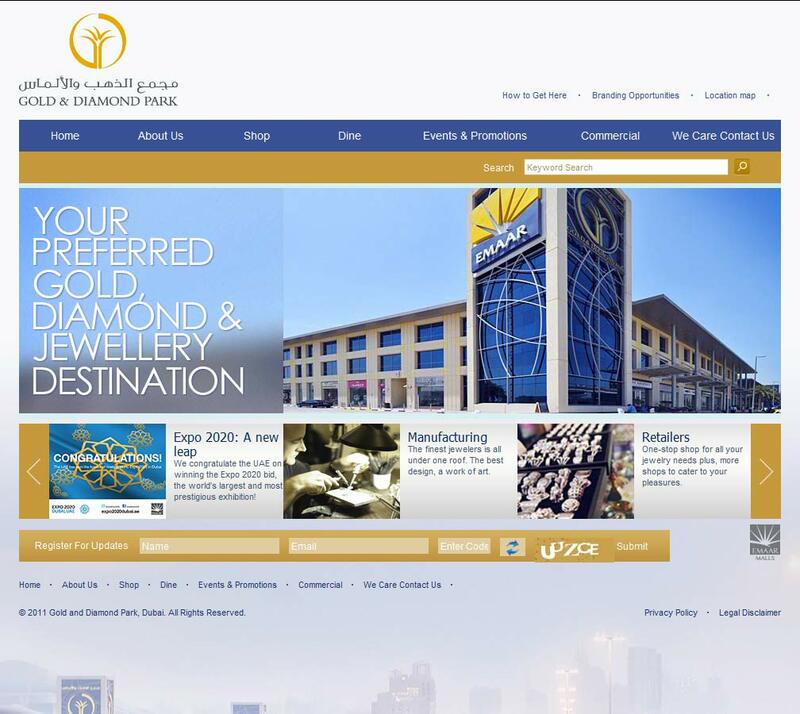 The Dubai Gold and Diamond Park website principally lists companies available at the mall and opportunities for manufacturers and retailers to take space in the specialist centre. Detailed information on individual companies is lacking, but each listing does at least carry a telephone contact. The website is relatively new and so is clean and easy to navigate. Some of the font sizes are small and may be difficult to read for the visually impaired, but are generally dark on a light background. Contact information and Legals are easy to find and clear, with a feedback button being a very big plus. 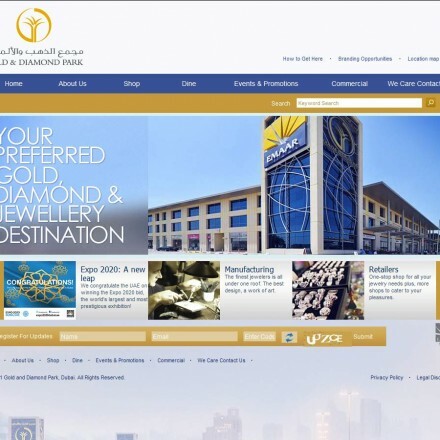 Dubai Gold and Diamond Park gets exceptional reviews at Trip Advisor (4.5/5 from 50 reviews) and other tourism related websites as well as more general directory sites. Because of the nature of the business, buygold.ae recommend that any complaints should be made directly to the retailer or manufacturer tenant in the first instance, but should the problem be difficult to resolve or involve the Park itself, then Dubai Gold & Diamond Park’s customer care line is +971(4) 347-7788. Our Dubai Gold & Diamond Park reviews are powered by Bullion.Directory - The Metals Investment Portal.